Sean Oquendo, 25 years old from General Santos City is a tattoo artist. At first, he thought that being a tattoo artist is just a hobby until he found out that he was earning money and providing for his family. This guy has what it takes to sing songs with Coach Bamboo’s flow. He sang the song “Ako Na Lang” on which according to Coach Bamboo it is unusual for a male to sing such song but he did great. He was able to bring out his talent – the real him. While he was singing, the coaches were thinking deeply if they will push the red button or not. When the song was about to end, Coach Bamboo was convinced and he was the only coach who turned his chair. Coach Bamboo was happy that Sean was with him with his rock star looks. And when Sean was asked about his preferred coach, he said that it was Coach Bamboo. Everything went well with him. Sean according to the coaches could be better when developed and trained since it was obvious that he felt nervous during his performance. The reason why the other three coaches did not turn their chairs is because they were looking for something that Sean can do in order to convince them. Nevertheless, they were happy that he was able to make Coach Bamboo’s mind favor him. We can watch more from this tattoo artist on the next level of the competition. 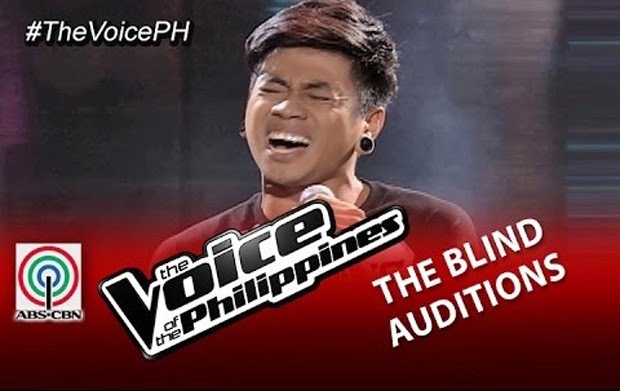 Meanwhile, congratulations Sean Oquendo for making it to the Blind Auditions of The Voice of the Philippines Season 2.